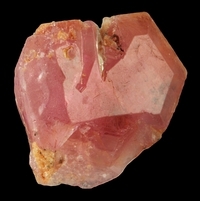 A superb translucent beautiful pink tabular crystal of pezzottaite measuring 1.5 x 1.4 x 0.3 cm in size overall. The crystal is sharply formed and free of damage. Weighs 1.42 grams. 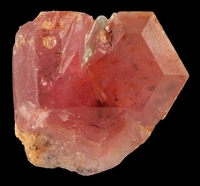 This is excellent for this rare beryl species.